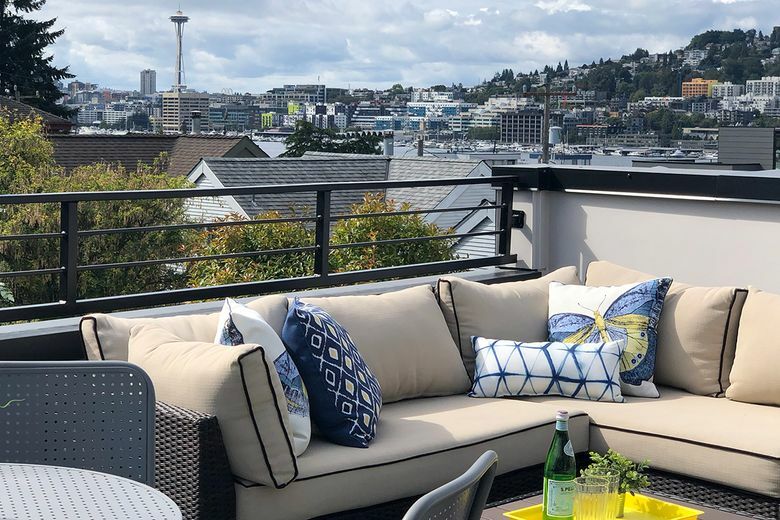 A rooftop deck at 2514 Yale Ave. E. offers views of Lake Union and downtown Seattle. A trio of four- and five-home communities are available in the Eastlake and Queen Anne neighborhoods of Seattle. 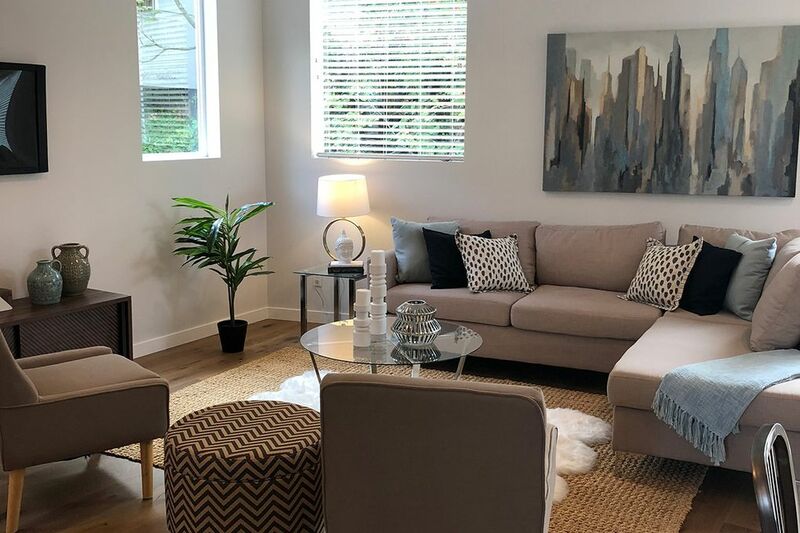 SEATTLE — A trio of four- and five-home communities by Blue Fern Development are available in the Eastlake and Queen Anne neighborhoods of Seattle. Four view-oriented townhomes, including a furnished model, are open Sept. 15-16 from 11 a.m.–5 p.m. at 2514 Yale Ave. E. in the Eastlake area. Floor plans range in size from 1,600 to 1,700 square feet and include three bedrooms and wide-plank European-style oak flooring. A rooftop deck offers views of Lake Union and downtown Seattle. “People are raving about the views and outlooks from both the decks and the rooftop,” says Ray York of Blue Fern. Four townhomes, including a furnished model, are open Sept. 15-16 at 2514 Yale Ave. E. in the Eastlake area of Seattle. Construction is nearly complete on four new townhomes at 3029 Third Ave. W. in north Queen Anne, near Seattle Pacific University. “North Queen Anne is quickly becoming a popular residential neighborhood that many consider having more of a suburban versus urban feeling,” York says. The three-bedroom townhomes include 1,301 square feet of living space, and have views of the college campus and the ship canal. Benjamin Paulus, the owner of Blue Fern Development, says careful attention is given to the building envelope, waterproofing and warranty issues. All Blue Fern communities are built to Built Green 4-Star standards.